Ask any Raspberry Pi owner what they would change about the design, and I’m sure a large number would mention the lack of a power switch. The board conveniently comes with a micro-USB connection for power, however this has to be manually connected and disconnected every time you use the device – in addition to properly shutting down to avoid SD corruption. 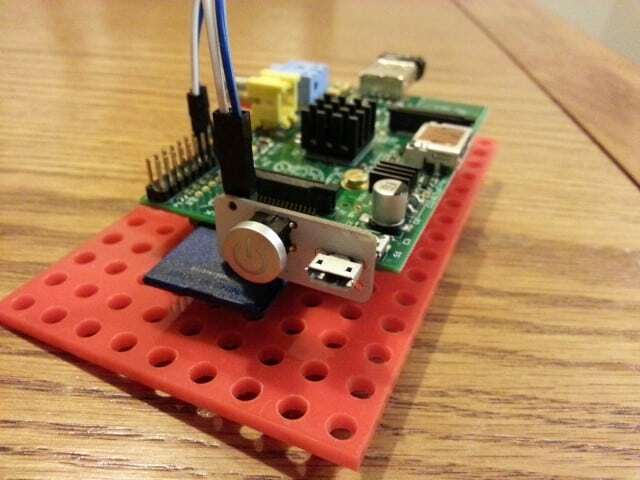 Whilst this isn’t in any way a time consuming chore, it seems Pi users want an easier way to turn the board on and off. There’s also some concerns about the durability of the MicroUSB socket. I first came across Mausberry Circuits from a Kickstarter campaign they ran on this very device. People jumped at the chance to get a switch on their Pi and the campaign was a success at £8537 over the £400 target! The switch comes pre-assembled with everything you need – the switch PCB unit, and 2 short jumper wires to connect to the GPIO (more on that in a second). There’s also a handy business card with a link for set-up instructions. 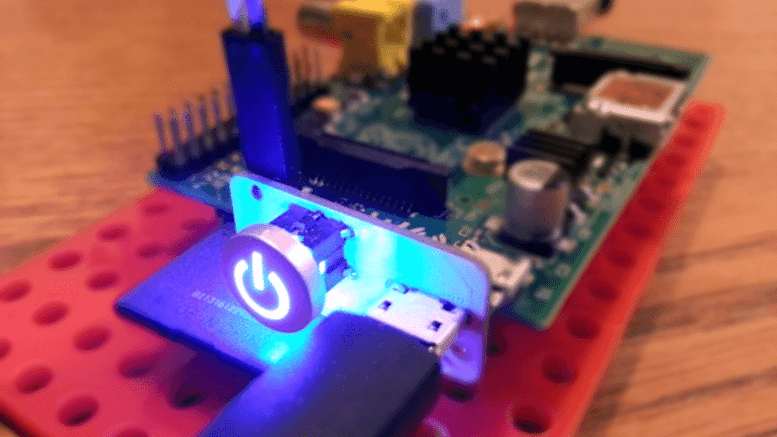 Adding this switch to your Raspberry Pi is mega easy. 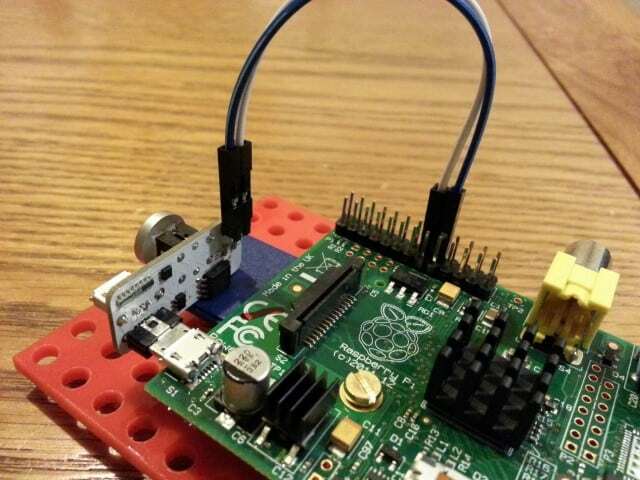 Just push the switch PCB unit into your Pi’s micro-USB port, and attach the 2 jumper wires to the GPIO. The link on the business card shows you exactly which GPIO pins to connect these to, along with instructions for if you want to change the pins. The online instructions guide you through this part. What you’re doing here is setting up the 2 GPIO pins to allow the switch to talk to the Pi to enable it to properly shut down prior to cutting power. I had some initial issues with this part as my Pi had been used for loads of projects in the past and I think I had the GPIO set up for something specific. A quick email exchange with the guys over at Mausberry Circuits and I had it working in a flash. No detailed guide is needed here – using the switch is easy. 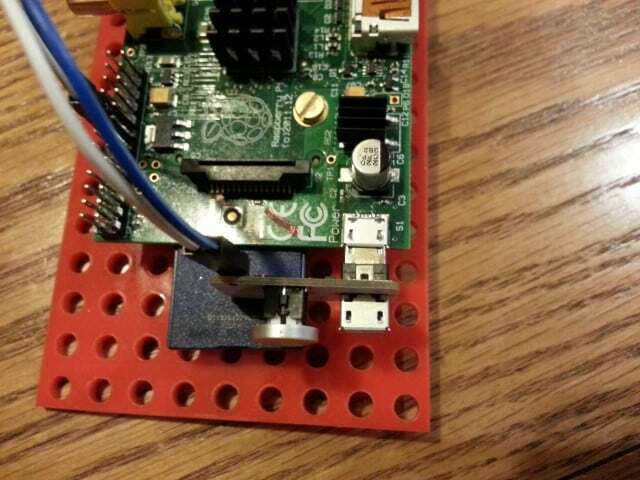 To turn on your Pi you simply hold the switch for about a second. Easy. The switch button will light up, along with your Pi as you would expect. To turn it off…you guessed it…hold it for a second or so and its clever magic will run the shut down sequence and then cut power completely. Convenient and safe – you never have to remove a power cable again. For those wanting a simple and stylish out-of-the-box solution, this is a good choice if you want to add switch shut-down functionality to your Raspberry Pi. It’s pre-assembled, with a good set-up guide, and is obviously very pretty with the blue illumination. I think this is going to make itself a home on my RaspBMC media centre Pi! 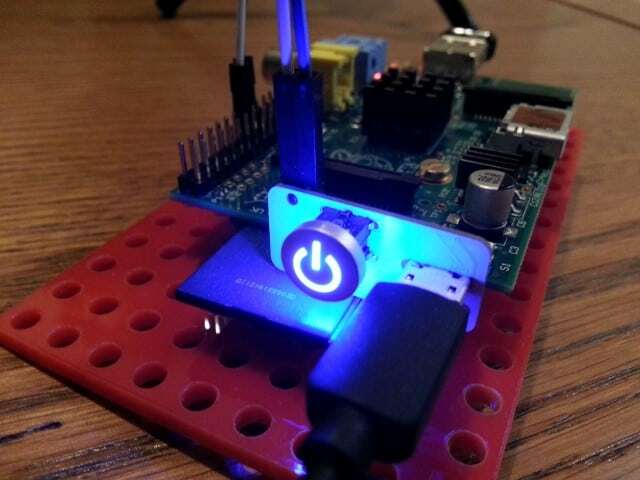 Be the first to comment on "Illuminated Raspberry Pi Power Switch from Mausberry Circuits"